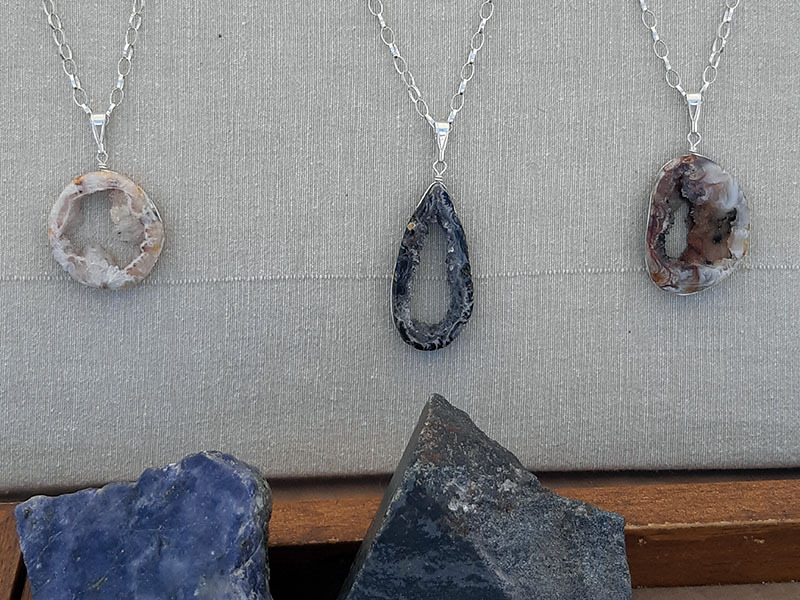 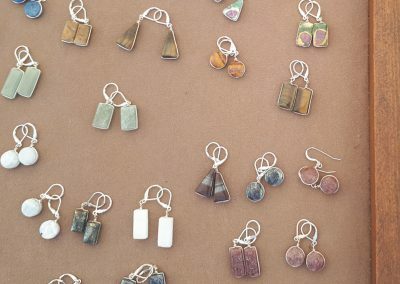 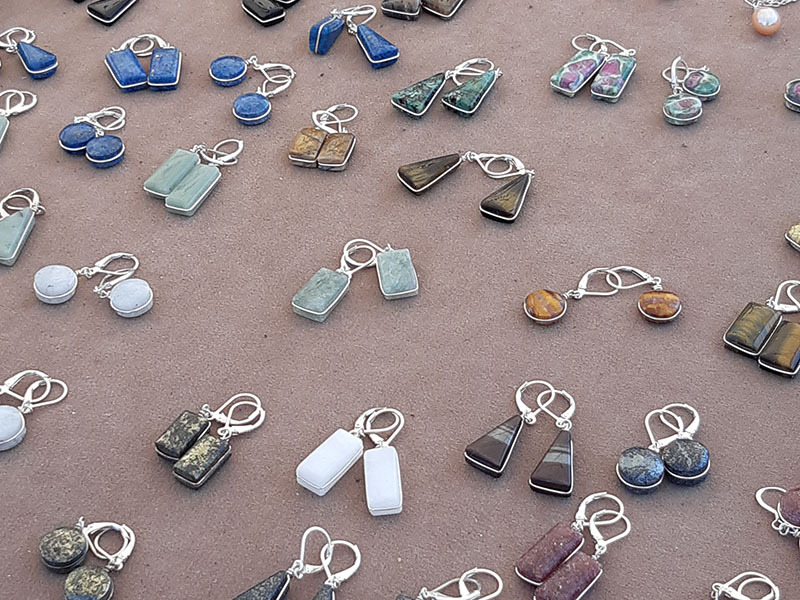 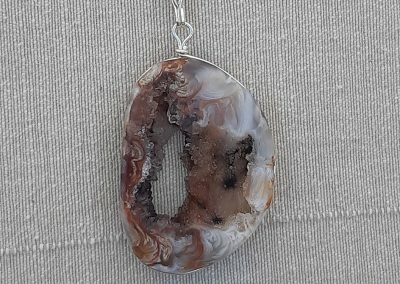 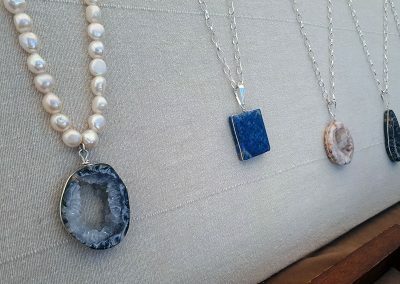 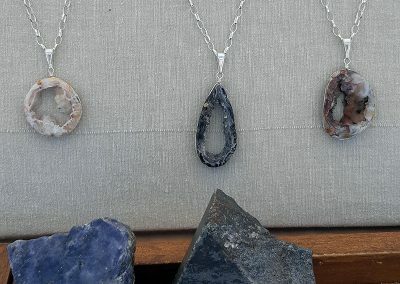 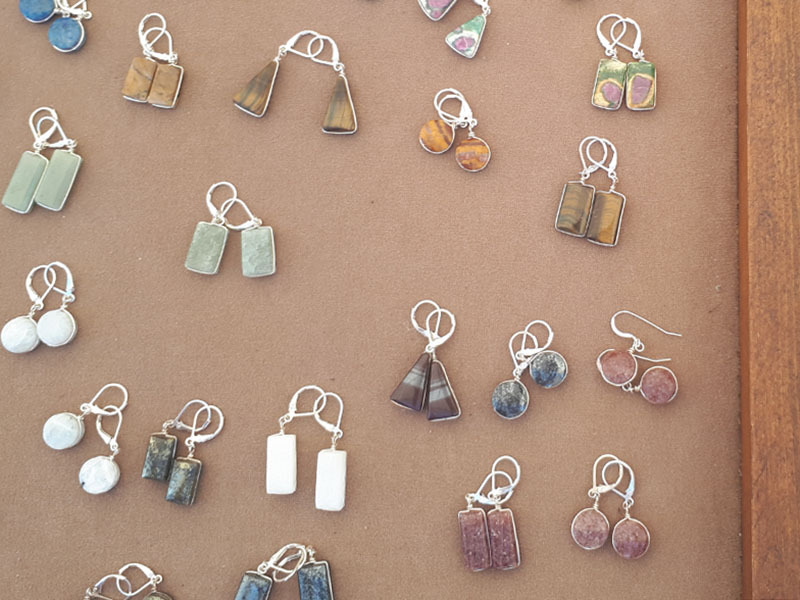 Born in St. Jerome, Quebec, in 1957, Dave Blair lived in a variety of places and worked in a number of different fields before he began to sell his unique stone jewellery at the historic market in Kingston. 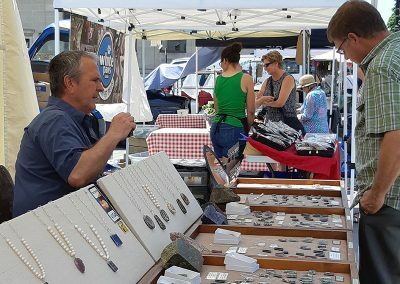 After completing high school, Dave studied environmental and resource science at Trent University. 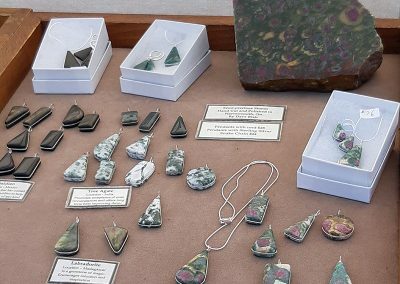 He also previously worked as an automotive painter, cabinet maker and monument engraver, which gave him an in-depth knowledge of the materials and tools he relies on in his current lapidary craft. 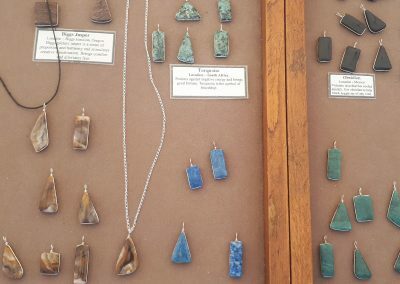 After moving to Kingston in 2000, he began to use his knowledge of cabinet making to build cedar chests and jewellery boxes. 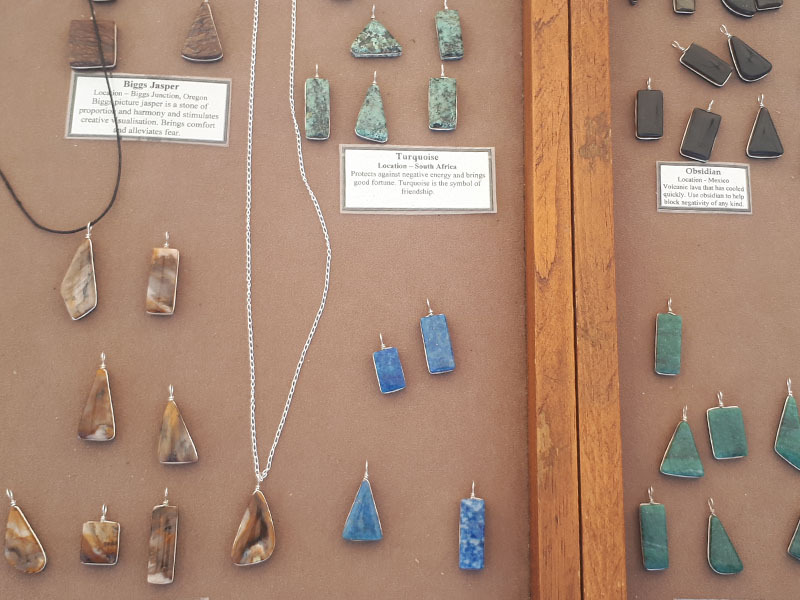 While he sold his wood products at the Kingston market, his interest in rocks led him to join the Kingston Lapidary Club. 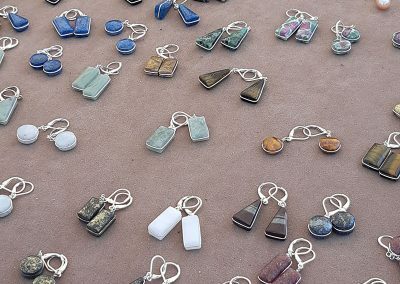 As he was able to make use of their extensive shop and to refine his stone cutting and setting skills, he began to embed stones in his wood products. 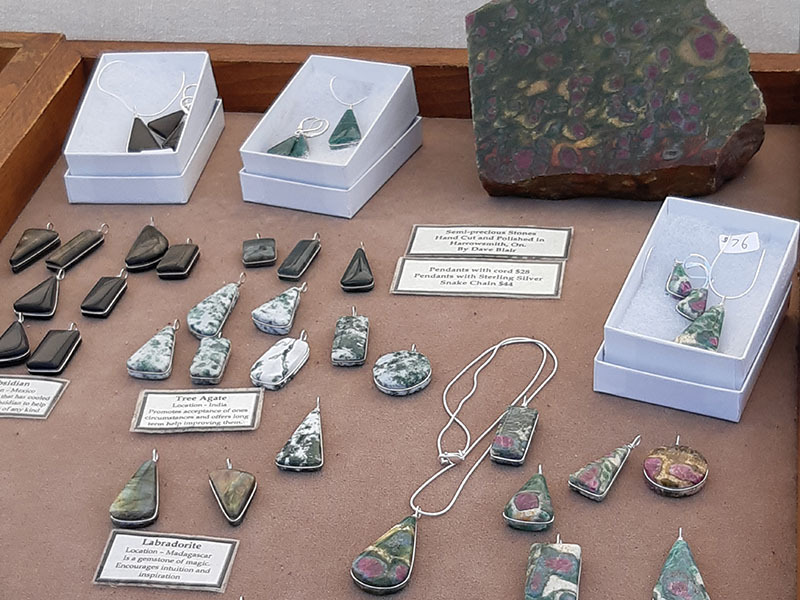 An increasing interest in stone led Dave to purchase equipment and start producing stone jewellery in 2002. 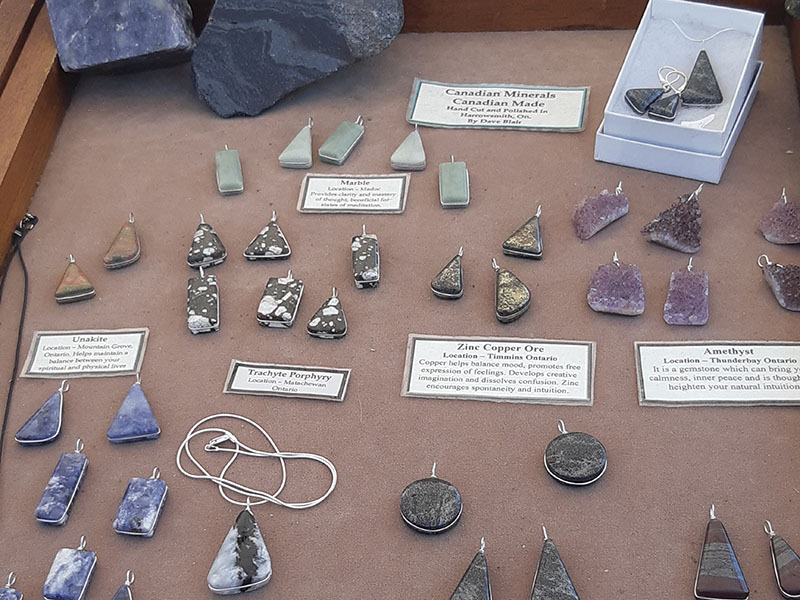 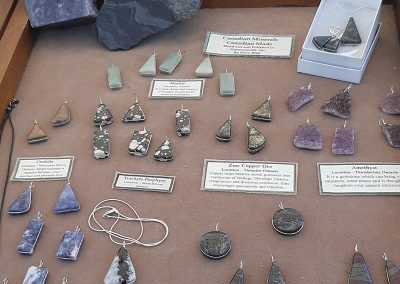 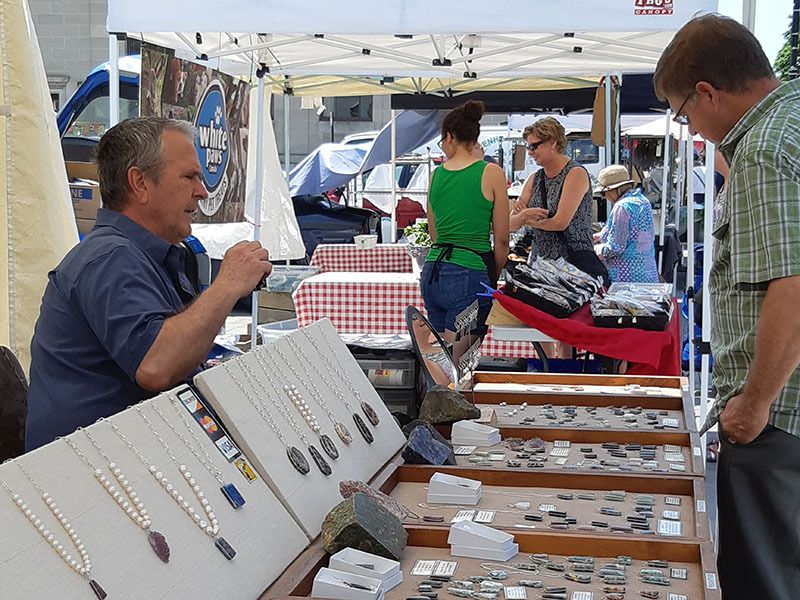 Since then, he has sold his jewellery at the historic market in Kingston as well as craft shows around Ontario .In addition to his work as a stonecutter, he is a volunteer shop foreman and board member of the Kingston Lapidary and Mineral Club. 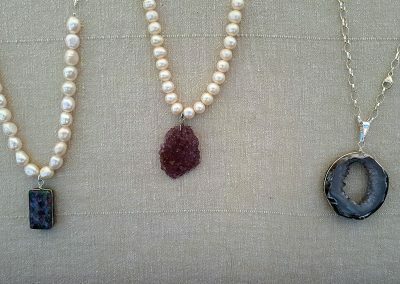 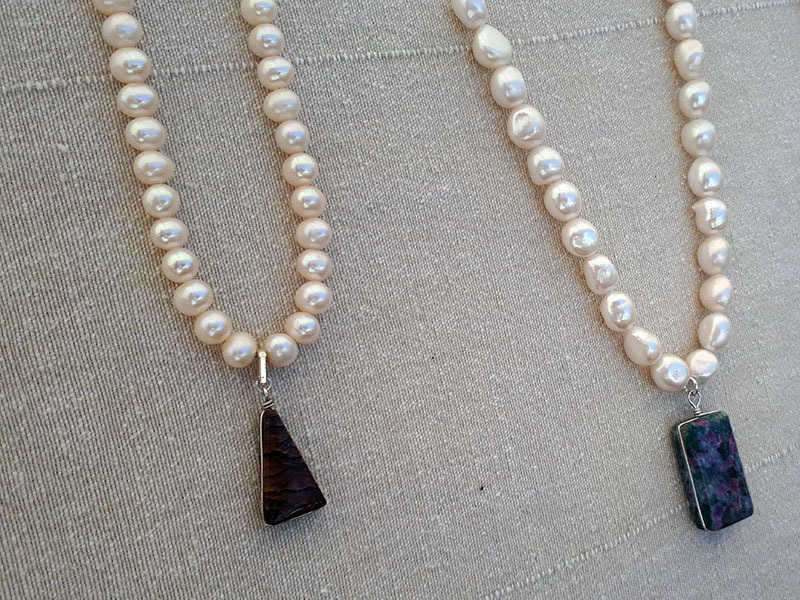 Earrings, pendants, necklaces made with natural hand-cut Canadian stones, sterling silver wire and freshwater pearls.